A few years ago, I attended the media drive for the current Hyundai Tucson. The company knew it had to grow its SUV/crossover lineup in order to compete with the growing trend of their proliferation upon this market. The result has been tremendous growth for the Tucson, the Santa Fe, and the Santa Fe Sport. Even with the success of these three products, Hyundai knew it needed to add more models to its SUV portfolio. It needed a smaller one, as the subcompact SUV segment was primed for growth. The answer was simple – make one but make it cool looking. It had a brilliant launch on Hawai’i’s Big Island near the city of Kona – some weeks ahead of the latest eruption of Mount Kilauea. Yet, I had held off on driving one until I fulfilled an invitation to do so with Hyundai in Detroit. Obviously, Detroit is as far from Kona is one could be on many levels. 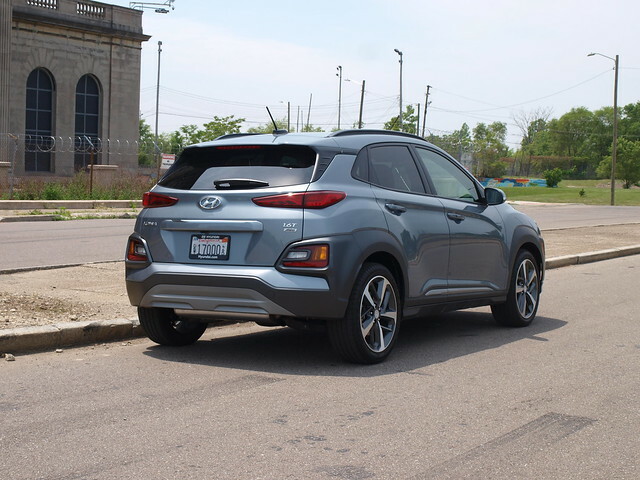 How does this subcompact SUV manage through the Motor City and maintain its Aloha presence? The first thing you need to do is look at it. It can be polarizing, but it works very well. The “exoskeleton” design makes it more aggressive from some familiar lines seen on other Hyundai SUVs. The scale is small – fitting into the space of its competitors in the smallest category among SUVs and crossovers. Still, the Kona offers plenty of advantages – wide door openings, a superb liftgate area, and a small footprint for urban living. The exoskeleton design needs to be explored further. It sets the Kona apart from the crowd, with its lower headlamp units, active lower taillamp clusters, and fenders. Up top are strips of LEDs for running lights and turn signals. These are framed around Hyundai’s Cascade grille, completing Kona’s distinctive look. My Ultimate tester has 18-inch wheels to finish off the overall look for this handsome SUV. Interior-wise, the same theme continues with a taste of the “exoskeleton” look while touching on standard Hyundai design cues. The instrument binnacle is comprehensive, with two main dials sandwiching the customizable TFT information screen. 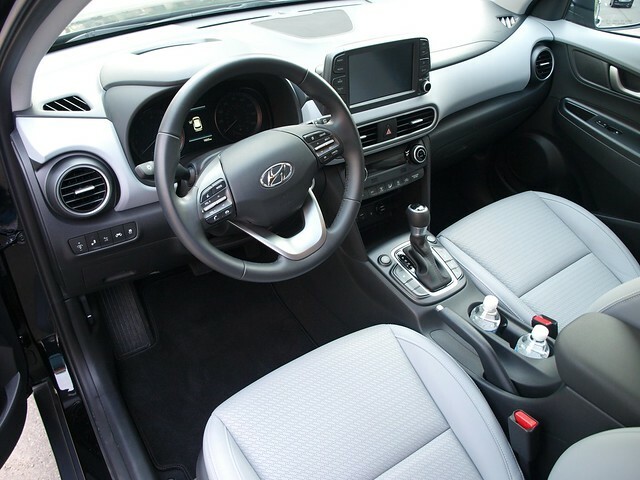 If you have driven Hyundais of recent vintage, the high-quality switchgear – knobs, buttons, toggles, etc. – will be familiar and fall into their proper places around the cabin. Infotainment and the backbone of BlueLink come from the tablet-like eight-inch touchscreen on top of the center stack. With in-house navigation, Apple CarPlay, and Android Auto connectivity, the system is easy to use with the touchscreen and external knobs/button to control it. Eight Infinity speakers emit sound with the backing of a 315-watt amplifier in my Ultimate AWD tester. Front seat occupants will enjoy a balanced experience between support and comfort. This Ultimate tester was wrapped in comfortable leather upholstery that is also seen on the steering wheel and shifter. One thing you will find on the Kona that may seem non-existent in its competitors is rear seat room. The seat is comfortable and accommodating, even for an adult my size. Cargo space starts with 19.2 cubic feet behind the second row expanding to 45.8 cubic feet when folded down. Kona customers have a choice of two engines. 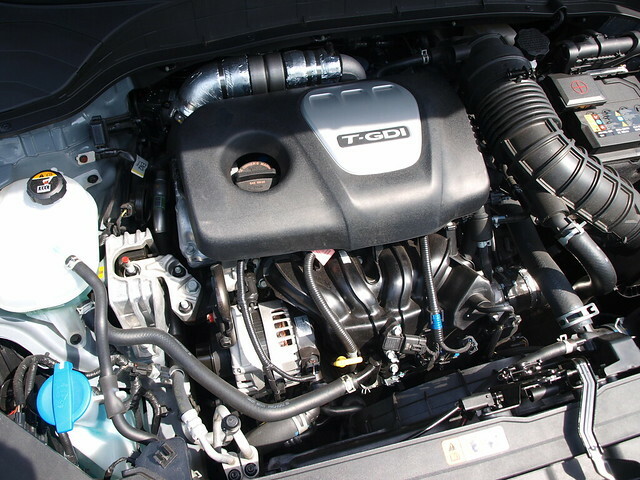 The value SE and SEL models get the 147-horsepower 2.0-liter four-cylinder engine with a six-speed automatic transmission. Limited and Ultimate models benefit from a strong 175-horsepower 1.6-liter turbocharged four-cylinder engine with a seven-speed dual clutch transmission. All four models are available in both front and all-wheel drive. The turbocharged engine, combined with the DCT and all-wheel drive, is the choice I would make in terms of the driveline. Keeping up with traffic and on the highway is something this driveline does with ease. In terms of the driving experience, I will bet that many people looking at vehicles in this class will absolutely love the Kona. So far, so good. The ride is smooth and the suspension works hard to absorb the worst of Michigan’s tarmac and Detroit’s unkept roads to not alarm anyone inside. It handles on the soft side, but it is very controlled through the corners. The brakes are very good with superb response from the pedal and good stops in normal and panic situations. The steering is responsive, but it could use more on-center weight. Otherwise, wheel response is very good. The Kona lineup starts with a front-drive SE model, priced from $19,500. My Ultimate AWD tester came with a sticker price of $29,805. While some of its competition scaled over the $30,000 wall, I commend Hyundai for keeping it away from that threshold – if only by less than $200. 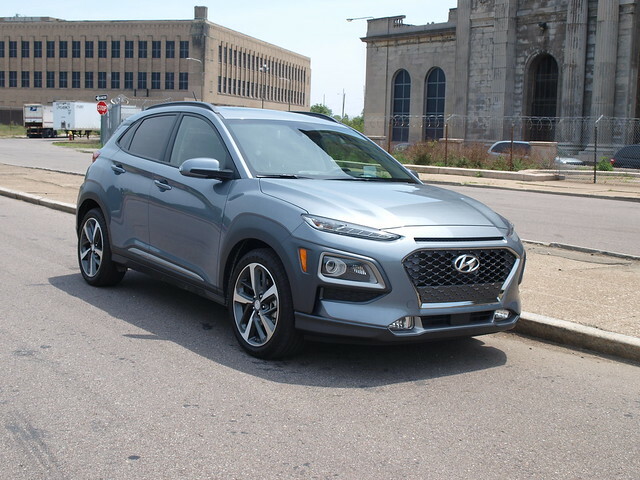 In a growing class of small SUVs/crossovers, the Hyundai Kona seems to be the choice. It is no longer the newest entry, but it is primed to make the biggest impression above them all. It certainly left an impression on me, given the number of other small SUVs/crossovers I dealt with over the past few years. 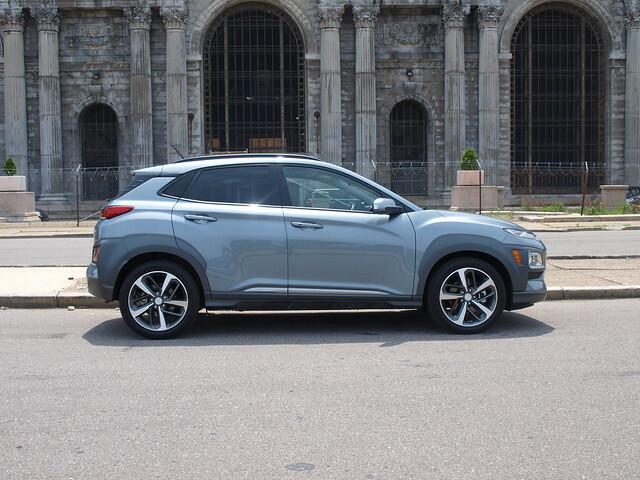 If one piece of feedback I made to my colleagues and Hyundai’s team in Detroit told the tale of the 2018 Kona, it would be that it would make for a very good road trip vehicle. That is something you would not consider from a small SUV/crossover. However, it does tell how far Hyundai went with the Kona – and not from the Big Island of Hawai’i. It is an Aloha-kind of vehicle that will bring happiness to its drivers. It certainly did through the streets of Detroit.